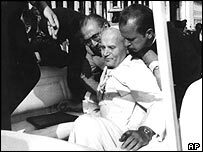 Italy is to reopen an inquiry into the 1981 attempted murder of Pope John Paul II after Bulgaria pledged to grant it access to classified documents. According to Italian media reports, they contain evidence that the attack was planned by the Soviet KGB. The secret service of the former East Germany - the Stasi - and its Bulgarian counterpart reportedly took part too. Bulgarian secret agents allegedly recruited the Turkish hitman Ali Agca, who is currently in jail in Turkey. Paolo Guzzanti, the head of a special Italian parliamentary committee of inquiry, is expected to travel to Bulgaria to examine the papers. Italian investigators also want to question Agca again. Metodi Andreev, a former official in charge of the Bulgarian archive, told the Italian newspaper Corriere della Sera that the documents had been kept in a room "with sealed windows and doors". "It is an intense correspondence between the Stasi and the Darzavna Sigurnost, the Bulgarian secret service," he told the paper. He said it took several months to translate about 1,000 secret letters. One of them "was a request by Darzavna Sigurnost agents to the Stasi to do whatever possible to exonerate Bulgaria, prove its innocence before the world and protect its agents". Bulgaria has kept the papers under lock and key since, but government spokesman Dimitar Tzonev earlier this week said they would be handed over to Italian investigators. The latest developments appear to confirm that the initial trail followed by Italian magistrates was correct. Soon after the attack it emerged that Agca had stayed in Bulgaria several times and suspicion fell immediately on the country's secret service. Italian judge Ferdinando Imposimato, who was in charge of the investigation at the time, told Italian radio on Monday he believed Agca had retracted initial confessions after being intimidated. "I believe Agca initially said many true things, but then he tried to torpedo the trial after being threatened inside Rebibbia jail [in Rome] by Bulgarian and KGB secret agents, who got inside to make sure he would retract his allegations," he said. 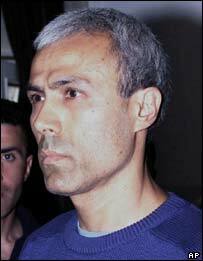 Italy jailed Agca for the attack, but pardoned him in 2000. He was then handed over to Turkish authorities. He is now serving a 10-year sentence in Turkey for unrelated crimes. Judge Imposimato said he hoped the new developments would also help solve the case of Emanuela Orlandi, the daughter of a Vatican official, who was kidnapped as a teenager in 1983 and has never been found. Many believe she was abducted to put pressure on Italy and the Vatican, and prevent them from revealing sensitive elements that had emerged during the inquiry. On Thursday, Agca, who has repeatedly said he was instructed by God, claimed Vatican officials had helped him plan the attack. "Without the help of priests and cardinals, I would not have been able to carry out the action," La Repubblica website quoted him as saying. "The devil is within the Vatican," he added. The Vatican was quick to dismiss the claim. "I think this is a load of rubbish. Anyway, Ali Agca has always been one to mislead, rather than to reveal true facts," Cardinal Roberto Tucci told Vatican Radio.